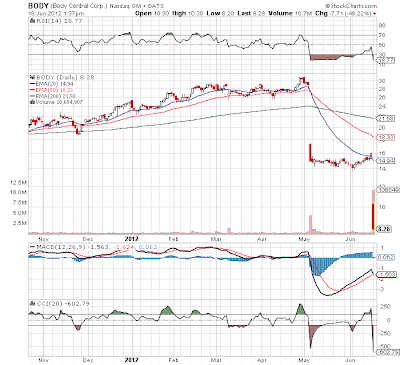 In a sign of the extreme nature of this market, Body Central (BODY) has plunged 50% for the 2nd time in about 45 days. Amazingly the stock was trading above $30 as April was coming to an end and today it now trades for only $8.28. 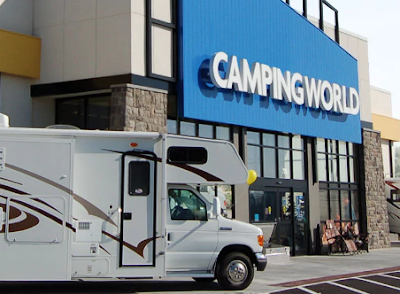 The company warned for the 2nd time that comp sales were exceptionally weak and earnings would disappoint. Just 60 days ago analysts expected $1.52 for 2012 and now the company forecasts $1.09. Truly a big disappointment but an over 70% cut to the stock seems irrational. The most shocking number from the below chart is that the CCI is sitting at a -602 for one of the lowest numbers ever posted. This number is even lower than the last warning back in early May. The RSI is also extremely weak sitting below 19. This though is about on line with the number from early May. Unfortunately for investors the stock is likely to hang out in the $8-9 range similar to how it did last month in the $14-16 range. The stock might even dip down to $7. After 2 warnings investors aren't likely to pile into this stock anytime soon. The fear now is management has no clue on the future making it possible that estimates for 2012 could plunge even further. Management presents at the Jefferies Global Consumer Conference on June 19th at 3pm EST. Bet a few analysts will be particularly interested in whats gone wrong with this story. Regardless of the bad news, investors should keep an eye on this concept. Maybe visit the stores to see if the story has changed. If the company just got the Spring/Summer clothing wrong, this might truly be corrected with the Fall/Winter lineup. 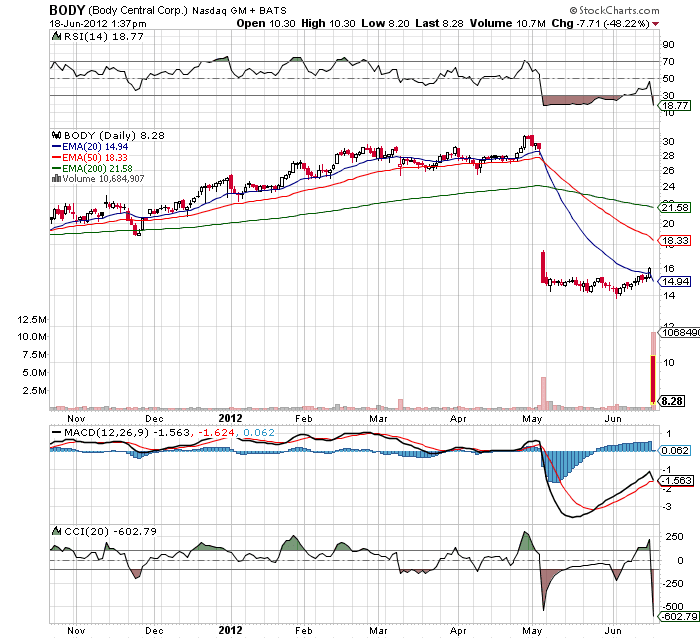 Not surprising BODY ended the week slightly up from the post price. It even spent today slightly lower until rebounding. The RSI remains an incredibly low 20.9 suggesting a rebound soon similar to the $14 - 16 run back in early June. The real question is that any run probably won't last until signs the demand has improved.